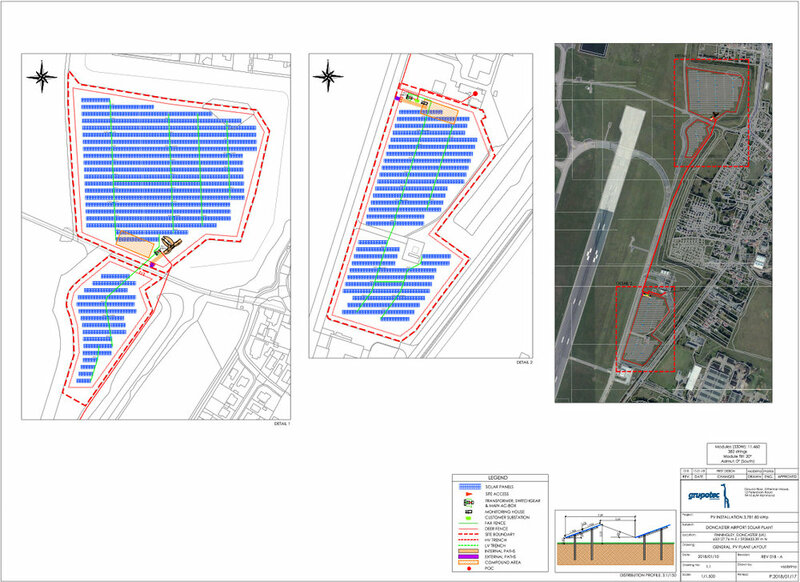 Peel Energy is working with Doncaster Sheffield Airport to assist in the delivery of a ground-mounted solar PV array that will provide renewable power directly to the Airport. Located within the secure perimeter of the Airport, the solar array will located behind the existing acoustic bund and fences, and will be practically invisible to local residents. Doncaster Council has confirmed that the proposal will not require an Environmental Impact Assessment. Peel Energy is currently reviewing the optimum path to deliver this exciting project that could supply up to 4MW of green power.